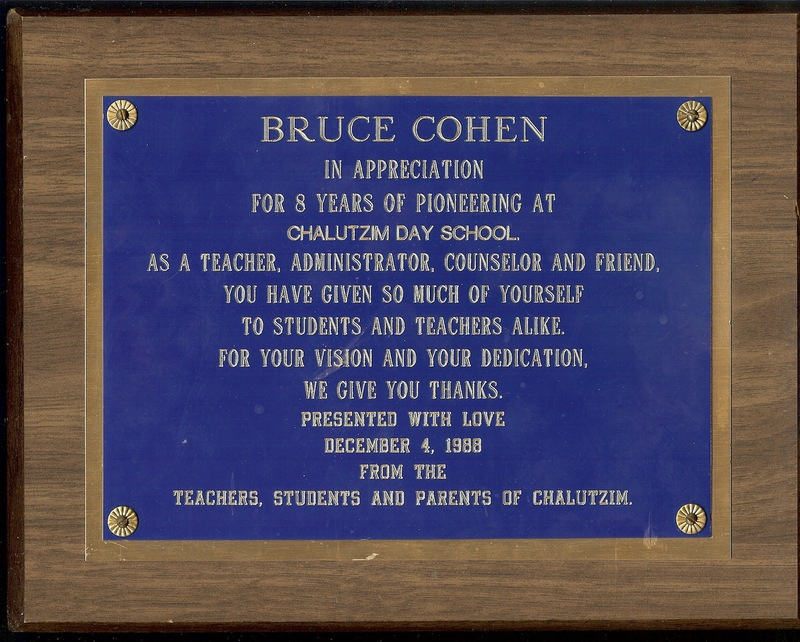 After a prep school and college education preparing for life as a playwright/screenwriter, composer, and director in the “do-it-all” style of Charlie Chaplin – including attaining fluency in five languages and scholar’s use of seven more – Bruce Cohen experienced a clergy calling which moved him into religion-affiliated work. Before moving into that new vector, he pioneered the first “theater of the deaf” production in his college’s region as his undergraduate thesis. Cohen wrote, composed, recruited, cast, produced, and directed a several week workshop and main-stage theater of the deaf production with deaf actors from the local community and mixed college faculty and student crew. His thesis was given honors, the college awarded him a special grant for the work, and the effort garnered coverage in the press. 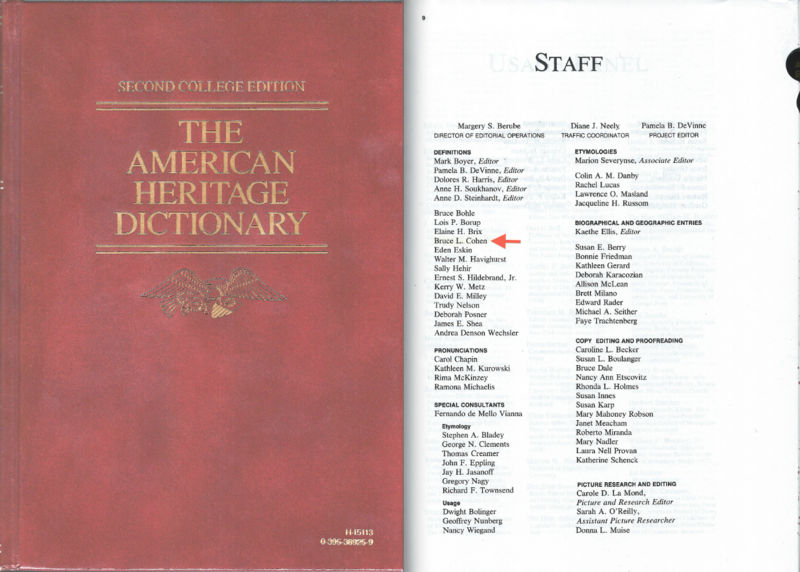 Cohen served in the non-religious sphere as a Definitions Editor and Author for Houghton-Mifflin’s American Heritage Dictionary, one of the world’s foremost dictionaries of the English language. A table covered with all published word and music product in whole or part by or about Bruce L. Cohen. Once having moved into the religious work arena, he moved progressively through elementary and secondary private religious education and administration (attaining State certification for secondary and elementary levels), non-profit organizational fund-raising and administration, theological study, leadership, and institution-building (leading to ordination into the highest levels of clergy standing); authorship and editorship in periodicals and scholarly journals, and global travel as a delegated envoy or invited speaker/teacher, and serving as senior clergy in an ongoing faith-community in the heart of Manhattan’s Upper East Side in New York City. Among the most amazing experiences in my life have been times I have entered auditoriums from Russia to Los Angeles, Jerusalem to Johannesburg, to find large crowds of people I have never met, singing my songs by heart during concerts, conferences, or services. I was amazed to arrive at a regional conference in the Midwest to find the entire conference was organized around one of my songs entitled, ‘You Are My Rest.’ Such opportunities to inspire are the stuff of which musicians dream, and for which they persist in their labors of love. Cohen’s theater vocation also found expression as he was invited to direct (and at times, also design) various stage plays & productions, musical concerts and festivals, television and stage-for-video work: from Broadway’s Marriott Marquis to Moscow’s Olympic Stadium; from fully staged musicals and plays to instructional television shows and videos. 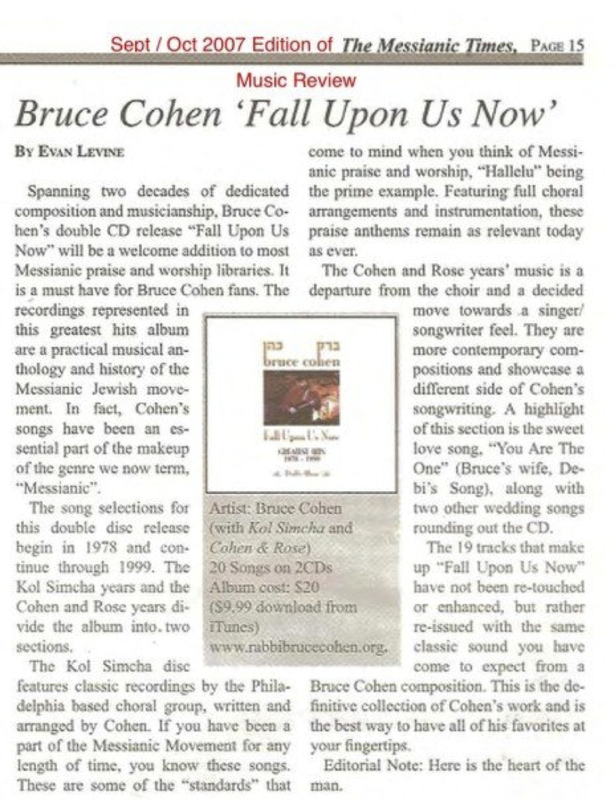 This is the essence of Bruce Cohen! In a single moment, he was directing the show, a song he wrote and arranged was being performed onstage, and his piano-playing was in accompaniment in band-tracks from a studio record-album he had produced! Live concert musical performances composed, arranged, performed (piano, guitar, vocals), directed, and conducted in whole or most-part by Bruce L. Cohen. Cohen continues all the above kinds of work while serving locally as senior clergy and music director in an Upper East Side Manhattan congregation. Monograph writing, musical engraving of legacy pieces and new pieces – and also returning to devotion of some time toward non-religious projects in music, theater, and film – all are part of his current and ongoing work.